Jardin du Luxembourg - In a prestigious stone building, exceptional apartment of 200 sqm. A successful staging magnifies reception areas of 100 sqm with 5 high windows in a row overlooking the Garden. Two bedrooms en suite, including a splendid bedroom of 45 sqm. 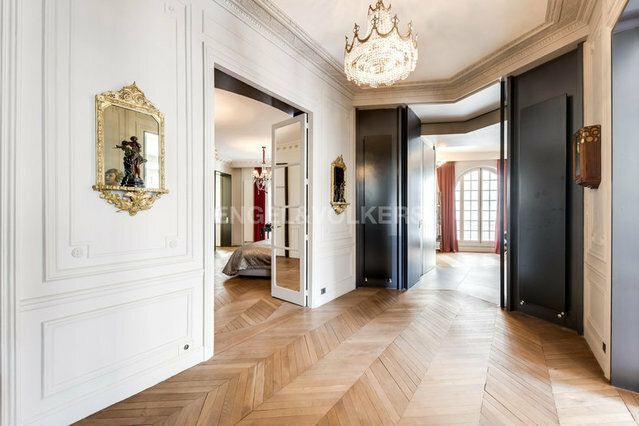 Designed for an international clientele, this typically Parisian property in the heart of the 6th arrondissement will offer you a prestigious address and a family cocoon. Fees TTC at the expense of the seller.